A prosthetic leg can’t keep the exuberant 5-year-old from dancing, bike riding, or hiding from her mother when they’re out shopping. Don’t believe what Fiona Ashe may tell you. Her parents did not purchase her at Target, though after hearing that claim enough times, her mother finally agreed to it. As charming a story as that would make, the truth is equal to it—and considerably more plausible. It starts with longstanding plans that Angie and her husband, Rob, had made to adopt a child. “That was on the table even before we got married,” Angie says. Their intentions became more focused after their first daughter, Elliot, was born with arthrogryposis, a disease that disrupts joint movement. 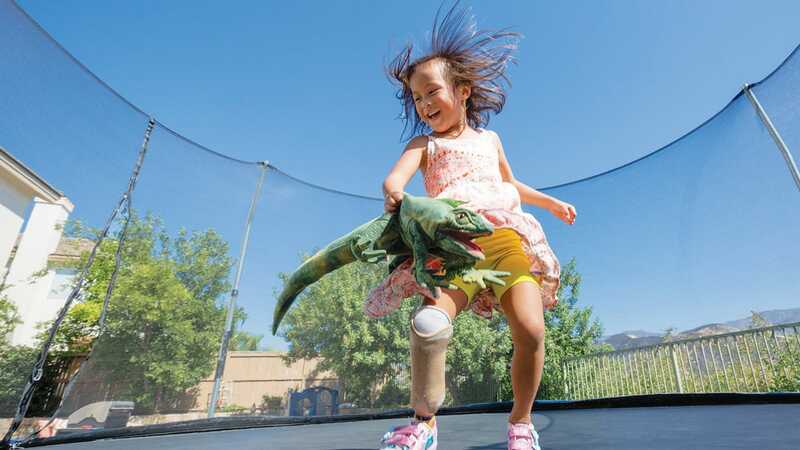 Elliot’s case is extreme: Born with her arms stuck straight and her legs bent, she has been a patient at Children’s Hospital Los Angeles since infancy and has undergone numerous surgeries and years of physical therapy. Her condition led Angie and Rob to look abroad for a second child with special orthopaedic needs, one they could spare from an orphanage. “We were hoping to use all the same doctors,” Angie says. Searching the adoption agency’s website, they found 1-year-old Zi Qin in an orphanage in the city of Luoyang, in central China. The girl, to whom they would give the name Fiona, suffered from amniotic banding syndrome, wherein stringy bands of tissue form on a baby’s body in utero, wrapping around limbs, making deep creases in the skin, obstructing circulation, and deforming legs, feet, arms and fingers, potentially to the point of severing them. "As far as she knows, she's completely functional. She can draw, cut with scissors-do everything." Months in a cast after having her right foot amputated couldn’t dim Fiona’s spirit. Once home in Santa Clarita, Angie brought Fiona to CHLA to see orthopaedic surgeon Deirdre Ryan, MD, and plastic surgeon Joan Wright, MD. She anticipated the right foot couldn’t be saved. “You could just see that no brace was going to shape it into a usable foot,” she says. Before Ryan could operate, the amniotic banding had to be treated. In May 2014, using a plastic surgery technique called a Z-plasty, Wright cut away the abnormal tissue and leveled out the deep indentations created by the bands, leaving behind just some faint scarring. Angie Ashe (left) says her daughter knows she has a prosthetic leg; she just doesn’t know that it’s supposed to matter. At this point, Fiona’s orthopaedic issues are secondary. In sum, their new normal seems altogether … normal. Clinical trials provide a princess warrior with a new weapon in her fight against a rare form of leukemia. 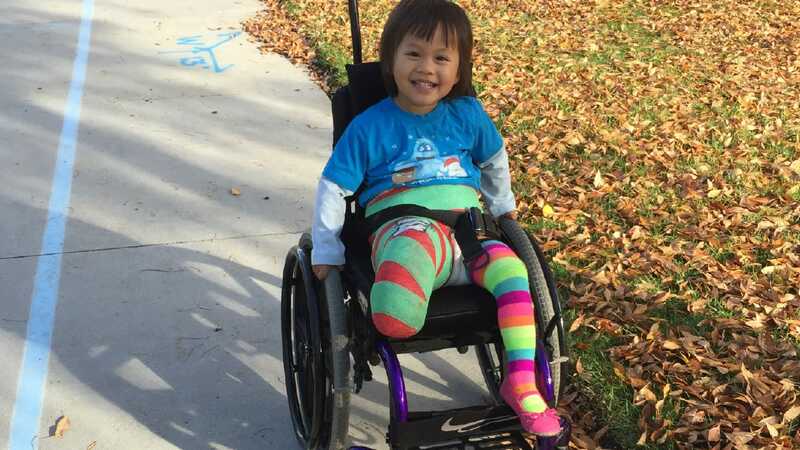 Kylie is smiling and full of energy as she clambers up and down stairs and ramps, a slight imbalance and her bright pink leg braces the only signs that she is anything but a typical, healthy 3-year-old. But just a year and a half ago, she was diagnosed with T-cell acute lymphoblastic leukemia (T-ALL), an uncommon and aggressive form of leukemia that accounts for about 15 percent of cases of the disease. It wasn’t until the red dots spread and got worse that Kylie’s pediatrician did a blood panel. That’s when Kylie’s mom and dad found out that something was really wrong. Within hours, they got a call from Children’s Hospital Los Angeles asking them to bring Kylie in the next day. When doctors at CHLA’s Children’s Center for Cancer and Blood Diseases confirmed that Kylie not only had leukemia, but T-ALL—a rare type that requires aggressive treatment—Hiller was in shock. So Hiller didn’t hesitate when Aaron Yeo, MD, a physician and fellow in the Children’s Center for Cancer and Blood Diseases, told her about the option of enrolling Kylie in a new clinical trial, one that might give her daughter a better chance of fighting the disease. 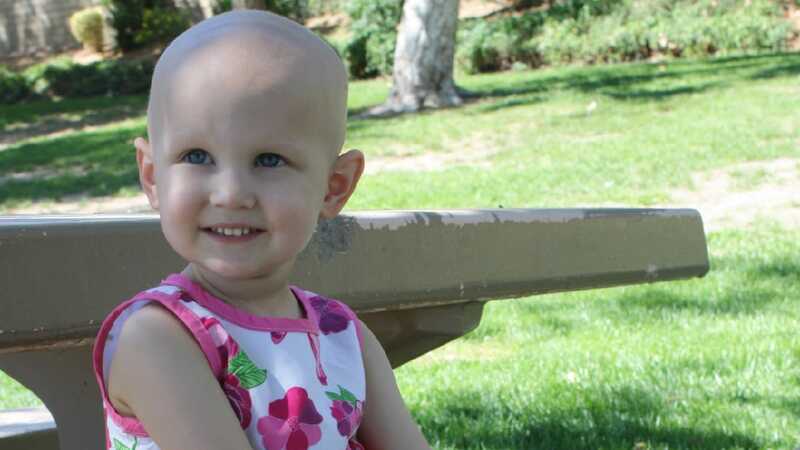 Kylie Branch at age 2, during the intensive chemotherapy phase of her treatment. There was no time to hesitate, either. Kylie’s family had to decide right away whether to participate, without knowing whether their daughter would be selected to get the trial drug, called bortezomib. The trial is testing the effectiveness of bortezomib when combined with standard chemotherapy; CHLA has been part of the national clinical trial through the Children’s Oncology Group since 2014. Nearly every major advance in medicine is due to a clinical trial. These research studies explore whether a new medical treatment is safe and effective for humans. They are among the final stages of a long and careful research process that often begins in the lab, where scientists first develop and test new ideas. Trials follow strict scientific standards designed to protect patients while producing reliable study results. A study may find that a new strategy or therapy improves patient outcomes, or that it offers no benefit or causes unexpected harm. That is why parents and their children are such important partners in these studies. Safety is always the physician’s top concern, along with ensuring that the family is fully informed of the risks and benefits of such a trial. Researchers use a process called “informed consent” to provide potential and enrolled participants with the key information about a clinical study to make sure that parents—and children old enough to understand—are fully aware of what they are signing up for. Participants who volunteer for a trial may also withdraw at any time. Clinical trials are an important way that CHLA and other academic medical centers differ from other hospitals. Each year, CHLA enrolls hundreds of children in such studies, in areas ranging from health behavior and disease prevention to investigational drugs, treatments and devices. 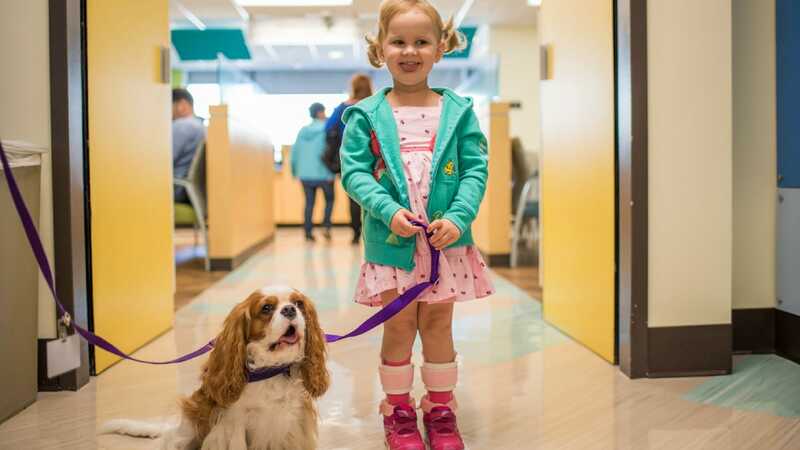 Kylie is escorted to her appointment by Brewster, a CHLA therapy dog. Kylie’s parents wanted to give her the best possible chance to avoid a relapse of her leukemia, and consented to be part of the study. Kylie was selected to begin receiving the trial drug. She has been on the trial regimen since January 2015, and is expected to continue coming to CHLA for chemotherapy, followup visits and physical therapy until at least spring 2017. “Kylie is doing well and is in remission,” says her primary oncologist, Deepa Bhojwani, MD, director of the CHLA Leukemia and Lymphoma Program. Remission and cure are the magic words every parent of a child with cancer wants to hear. Kylie’s parents believe the clinical trial has saved Kylie’s life, and they are optimistic that a cure is in her near future. Meanwhile, Kylie happily visits CHLA on a regular basis, telling her little sister, Kaylie, “We’re going to my hospital.” One side effect of the chemotherapy has been nerve weakness, or neuropathy, which causes weakness and numbness in Kylie’s feet, necessitating weekly physical therapy appointments. 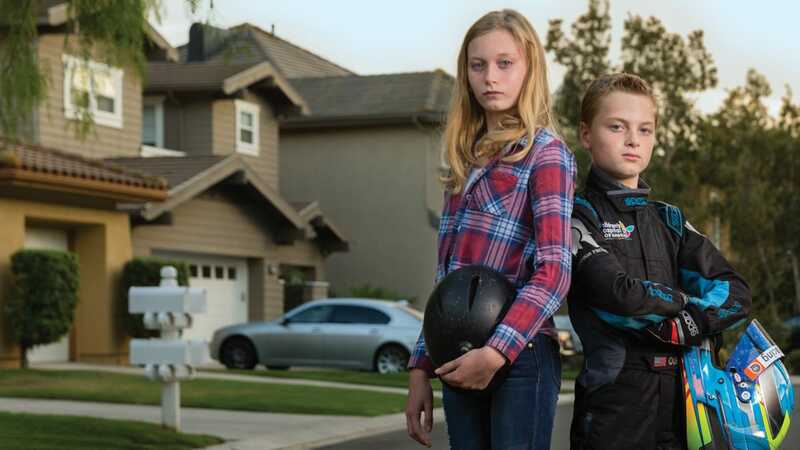 Born with different heart defects, twins Colin and Brooke Queen are living life full throttle—and giving back to CHLA. VRRRRR … The steady, high-pitched wail of more than a dozen go-kart engines pierces the air, and from an observation tower overlooking the racetrack, Gretchen Queen has to shout to make herself heard. Sure enough, a moment later, Colin, the kart’s driver, makes his move coming down the straightaway. In a flash, he squeezes around the right side of the kart ahead of him and scurries past it, his blue helmet bobbing as his kart bumps along the rough asphalt track. That competitive, determined nature has helped Colin, 11, become a champion go-kart driver who competes around the country. Behind the wheel of his kart—which sits an inch off the ground and looks like a miniature Formula 1 race car—he routinely reaches speeds of 50, 60 and even 70 mph. His collection of racing trophies is impressive. Yet, his biggest come-from-behind wins have taken place off the track—at Children’s Hospital Los Angeles. 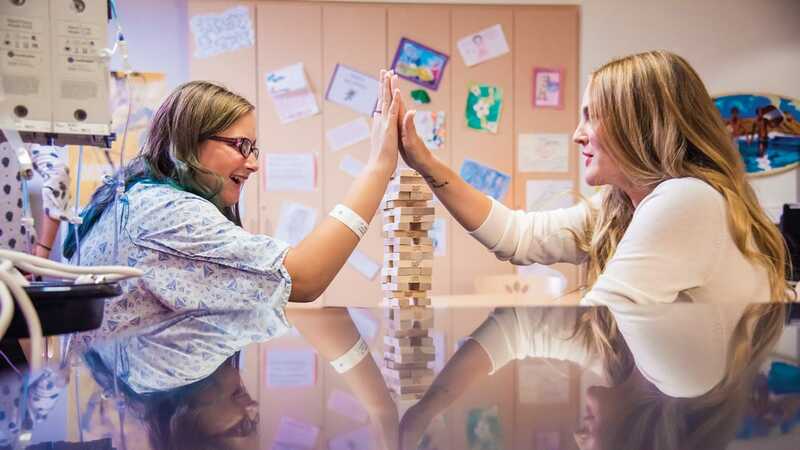 Brooke (right) visits her twin, Colin, during one of his early hospitalizations at CHLA. Colin and his twin sister, Brooke, were born 8½ weeks early, just 12 seconds apart. Brooke was small, but OK. Colin was even smaller—barely 3 pounds. Worse, he had hypoplastic left heart syndrome (HLHS), a lifethreatening condition in which the heart’s left side is severely underdeveloped. Hours after birth, he had his first high-speed ride: an ambulance to CHLA, home to one of the country’s largest and top-ranked pediatric cardiac centers. 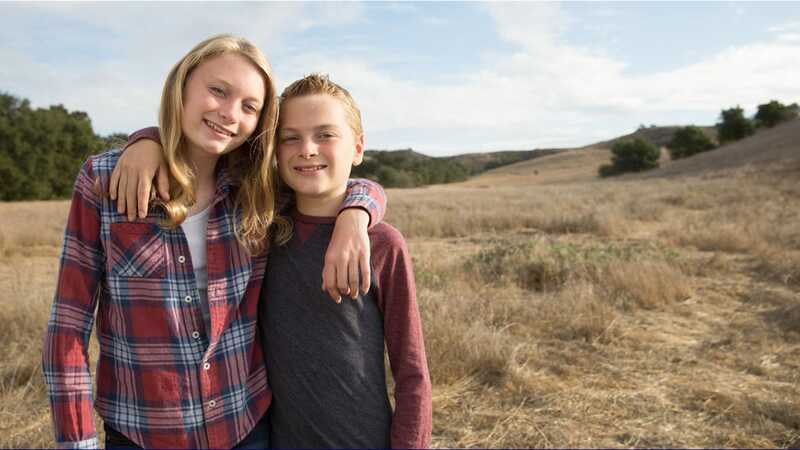 His parents, Gretchen and Rob Queen, who live in Coto de Caza in Orange County, had chosen CHLA after researching hospitals nationwide during pregnancy, when Colin’s heart problem was discovered. To have a chance at life, babies with HLHS need a series of three open-heart surgeries in their first years. The surgeries aren’t a cure, but they “re-plumb” the heart so that the right side can do what the left side can’t: pump oxygenated blood to the body. The first surgery is typically done just days after birth, but doctors feared Colin was too tiny to survive it. They waited seven weeks, trying many different measures, but Colin couldn’t gain weight. Vaughn Starnes, MD, co-director of CHLA’s Heart Institute, performed the complex, intricate surgery, and Colin pulled through. In the next weeks, Colin suffered multiple setbacks, but each time, he dug deep and rallied. After three months at CHLA, he finally went home. Starnes did Colin’s second surgery a few months later, and the final one when Colin was 2½. 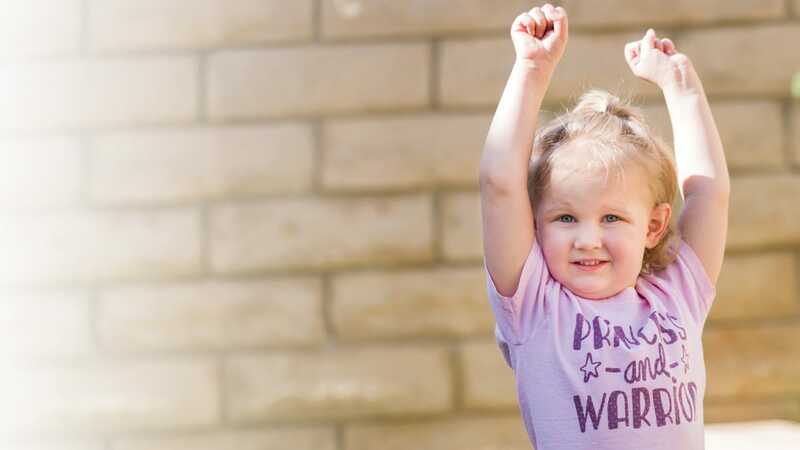 As if that weren’t enough, at age 1, Brooke—who’d always been healthy—began having episodes in which her heart raced up to 300 beats per minute. The diagnosis: Wolff-Parkinson White syndrome (WPW). Brooke’s many interests include horseback riding. Talking with Brooke and Colin, you’d never suspect they were born with heart conditions. You would, however, know they were siblings. When Brooke says she’s a healthy eater, Colin brings up the time he found candy wrappers under her bed. When Colin mentions breaking his arm, Brooke quickly answers that she broke her arm first, while riding a scooter. The sixth-graders share the same sandy blonde hair, ocean-blue eyes and faint sprinkling of freckles. But they insist that’s where their similarities end. “Ohhhh, we’re really different,” Colin says. “By far,” Brooke stresses. 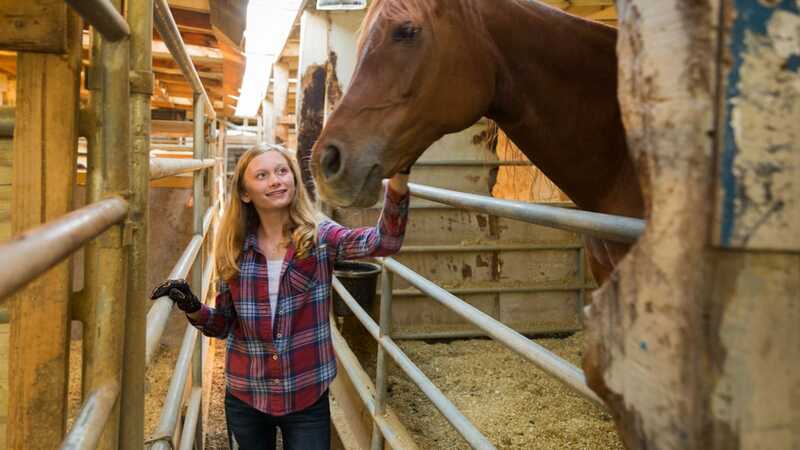 Brooke is the talkative one, with numerous favorite activities, including reading and writing stories, riding horses, playing soccer and drawing. Like her brother, she has a black belt in tae kwon do. Her dream: to write books and become a raptor biologist. She definitely doesn’t like racing—which is, of course, what Colin loves most. Rob first took Colin karting for his 7th birthday. It was meant to just be fun, but, as Colin explains, “it just clicked. I fell in love with it.” He began bugging his dad to take him to the track. His parents called his cardiologist at CHLA, Alan Lewis, MD. Colin proudly displays the hospital’s logo on his kart and racing suit. Colin has raced for four years and competes on the national U.S. Pro Kart Series circuit. In 2014, he was among the youngest to race against the 105 best cadet drivers in the world at the Mini ROK International Finals in Italy, placing 18th in the Bridgestone Final. His goal: become a NASCAR or Indy 500 race car driver. His parents admit that the dangers of motorsports make them nervous. But they’ve seen the benefits. It’s given Colin a world of confidence and a more level playing field with other kids. On foot, he’ll never be fast. In the kart, it’s full speed ahead. Despite Colin’s success, he does have limitations. He can’t do nearly as much physical conditioning as his competitors; he has to take breaks when exercising. Long term, patients with HLHS can develop problems such as heart-valve abnormalities and liver issues, Lewis says. At CHLA, cardiologists collaborate with liver and other specialists to closely monitor patients. The Queens are extremely grateful for the care they’ve received at CHLA. That’s why the twins joined the Junior Ambassadors, a group of kids and teens who fundraise for the hospital. Earlier this year, Brooke organized a coin-collection campaign at school, raising more than $800 for the Heart Institute. She also raised $1,100 for CHLA’s Dreamnight event at the Los Angeles Zoo. Using his racing connections, Colin has raised more than $5,000 for the Heart Institute. 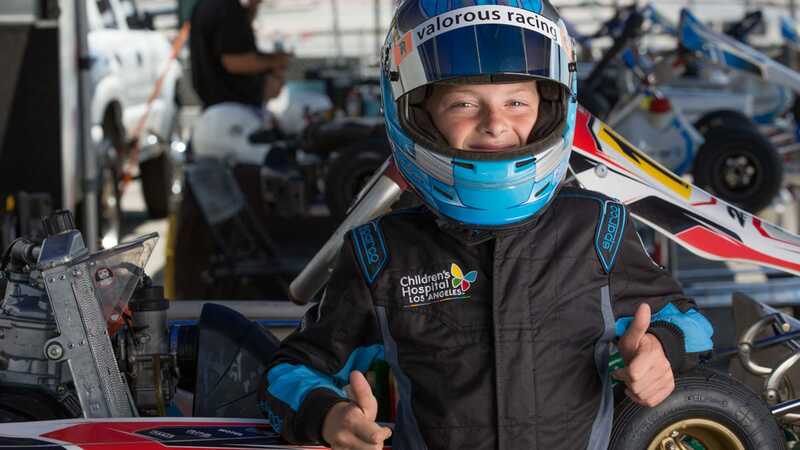 His racing suit and go-karts sport the CHLA logo, and the family plans to auction off a kart for CHLA. “I want to give back and help other kids with conditions like me,” he says. The twins also hope to inspire other kids who are struggling with heart disorders. Their advice? A desperate email, sent to the wrong hospital, inadvertently reached the one doctor who could turn Bianca Celis’ life around. That was the best Bianca Celis could muster after learning that the email she had sent off to Children’s Hospital Los Angeles was headed well wide of the target her father intended. It was the luckiest mistake she would ever make. The email, in which Bianca explained her condition and pleaded for help, found the inbox of neurologist Terence Sanger, MD, PhD, the most favorable landing it could have had. Sanger, head of CHLA’s Pediatric Movement Disorders Program, was singularly capable of tackling her illness—dystonia, a brain disorder that disrupts muscle movement and had tormented Bianca since she was 9. Dystonia warps the signals that the brain delivers to muscles to prompt them to move, causing them to spasm involuntarily and the body to contort into painful, crooked positions. 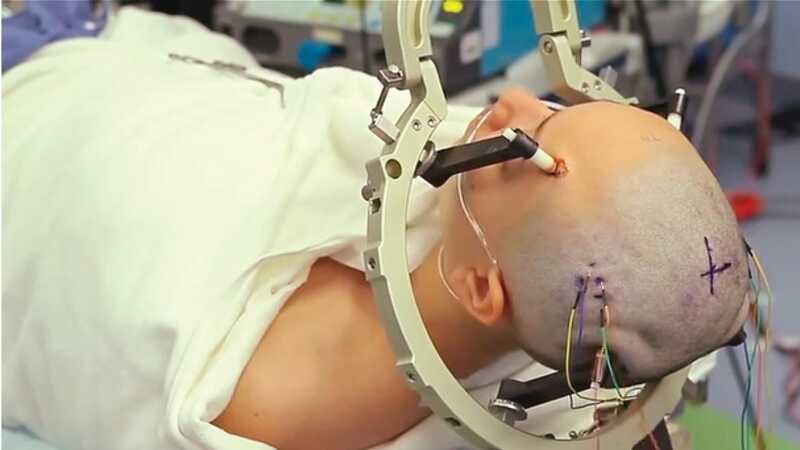 Early in 2014, electrodes were implanted into Bianca’s brain to set the stage for deep brain stimulation. That’s the point Bianca had come to when she typed out an email to CHLA, her body beyond her control, beset by cramped and bent wrists, toes that curled inward and a bowed-over back that hindered breathing. She was 16 and had been in a wheelchair since age 12. Every attempted remedy—including medications, pool therapy, massage, supplements, and braces for her feet, legs and back—had failed. For a full year, her father drove her twice a week from the family home in Pomona to Tijuana, Mexico, where Bianca would get injected with nutrients. They were told the shots would rid her blood of toxins. That didn’t work either. Years earlier, a doctor had told Bianca that dystonia was incurable; blood tests had revealed hers was in her DNA, caused by a mutation to the DYT1 gene. But she developed workarounds to help her manage, going so far as to make herself a lefty after the disease disabled her right hand. She would use her teeth to pull things apart. She taught herself to concentrate on a given muscle to get it to follow her command, allowing her to walk for 20-30 seconds. But once or twice a year, she’d feel desperate. It was on one of those days that she wrote to CHLA. CHLA answered her email, and within a week she was in Sanger’s office. He presented her with another option: deep brain stimulation, or DBS, a technique that implants electrodes in the malfunctioning areas of the patient’s brain that control movement. Pulses are delivered to those electrodes through wires connected to a small device—a neurostimulator—embedded in the chest; Sanger calls it “a pacemaker for the brain.” The stimulation is something of a misnomer, he explains. Early in 2014, in separate procedures, Krieger, CHLA’s head of Neurosurgery, and neurosurgeon Mark Liker, MD, implanted two wires into Bianca’s brain and the neurostimulator into her chest. For the first few months afterward, the results weren’t as powerful as she had hoped, as Sanger tinkered with the electroactivity being transmitted to the brain. A certain strength, for example, might loosen her wrist but cramp her feet. That right hand is still a struggle. It was the part of her body where dystonia first manifested when she was 9, and as she turns 20 in December, it’s the one area that DBS hasn’t been able to solve. She sees Sanger every three months for Botox injections to relax the hand. And that, miraculously, will include the bride herself. Dominic Leone beats a tough-to-diagnose cancer—and gives back. 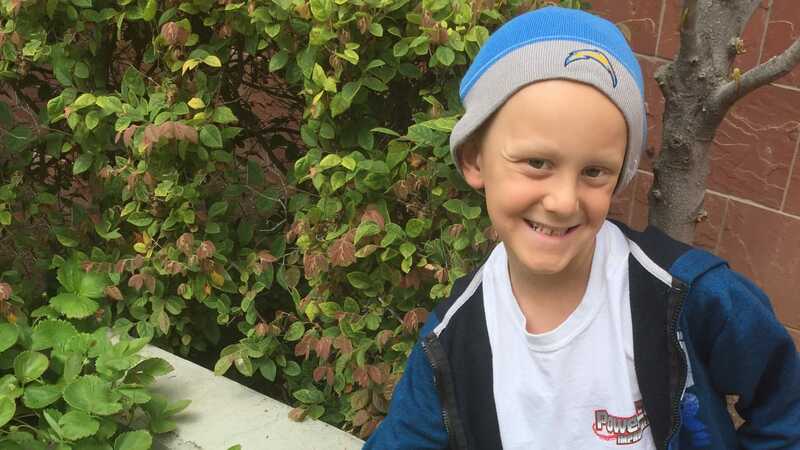 With his bright smile and gentle disposition, 8-year-old Dominic Leone makes friends everywhere he goes. He doesn’t spend as much time at Children’s Hospital Los Angeles as he used to, but just say “DomStrong” to doctors or nurses at the hospital, and chances are good that someone will know exactly whom you’re talking about. The journey that brought Dominic from his home in San Diego to CHLA began when he was 6. It was November 2014, and the Leone family of five had just returned home from vacation in New York. Dominic’s mom, Larrilyn, recalls that everyone was a bit under the weather, so she wasn’t too worried when Dominic asked to stay home from school. For the next few days, Dominic alternated between feeling OK and feeling really awful. On several occasions he vomited, and when he started complaining of an excruciating headache, Larrilyn and Vince, Dominic’s dad, sensed they were dealing with something more significant than a virus. They rushed him to the emergency department at their local hospital, and a CT scan confirmed their worst fears: There was a mass in Dominic’s head. The delicate surgery to remove the tumor was successful, but after weeks of evaluation—by pathologists at three well-respected medical institutions around the country—they were no closer to a diagnosis. Each of the pathology reports indicated it was a central nervous system (CNS) germ cell tumor, but in other respects the reports were inconsistent. No one seemed to know how to help Dominic. “For the first time I thought, OK, we know what we’re up against. I just had a level of confidence in [Dr. Dhall] that I hadn’t had in anyone else up until that point." 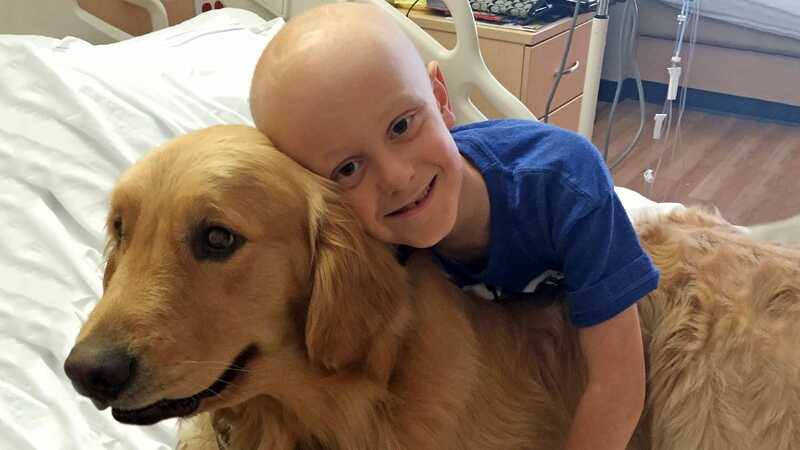 Dominic Leone with CHLA therapy dog Presley, during his second round of inpatient chemotherapy in March 2015. In January 2015, the road ahead started to become clear. That’s when Dominic’s oncologist in San Diego told Larrilyn to drive up to Children’s Hospital Los Angeles—and meet with Neuro-oncology Program Director Girish Dhall, MD. “When I first met Dominic, I realized that it had been almost two months from his initial tumor resection, yet there was still a lack of direction as to what the diagnosis was and what the treatment plan should look like,” says Dhall. Dhall called on Alexander R. Judkins, MD, head of CHLA’s Department of Pathology and Laboratory Medicine, to conduct an extensive analysis of the tumor. Together they determined it was a mixed germ cell tumor containing germinoma and embryonal carcinoma elements—a more difficult type of brain tumor to treat. Whereas treatment for a standard germ cell tumor might be four rounds of chemotherapy and four weeks of radiation, Dhall knew they needed to be more aggressive in Dominic’s case. From February through August 2015, Dominic underwent an aggressive treatment regimen to rid his body of cancer. Under Dhall’s expert care, Dominic endured six cycles of chemotherapy, followed by seven weeks of radiation—with a wider field of irradiation and a higher dose of radiation to the tumor bed than patients typically get. Dhall’s plan worked; since Dominic completed radiation last August, all of his scans have been clear. 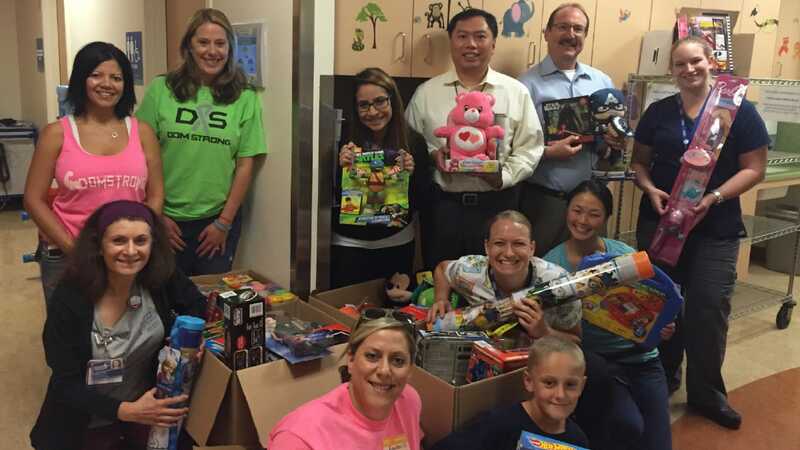 Dominic delivered over 200 toys to kids at CHLA in October 2015. Through the seemingly endless months of treatment, Dominic stayed strong—“DomStrong.” That’s the motto his family adopted, which is boldly spelled out on the T-shirt he wears every time he comes to CHLA for a follow-up. From the start, his hopes and spirits have been bolstered by the caring doctors, nurses and staff at Children’s Hospital. Every three months now, Dominic and his mom take a “mini vacation” to Los Angeles, where they stop by the hospital for labs and an MRI. With all that Dominic has been through, he is still the optimistic and generous boy he’s always been. When his friends and family threw a DomStrong party to celebrate the end of radiation treatment, Dominic asked everyone to bring a toy. On his next visit to CHLA, he delivered over 200 toys to help make time in the hospital easier for other kids. He plans to organize more toy drives in the future. After a busy, fun-filled summer, Dominic started third grade in the fall. Although he’s still recovering from the radiation and gets fatigued more easily than his brother and sister, he always finds the energy for his favorite sport: basketball. Drew explains why she became a CHLA supporter. Imagine: Describe your first interaction with Children’s Hospital Los Angeles. Drew: We wanted to get involved with CHLA, and really did our homework on what we could do that would be the most impactful. After many conversations, the one thing that kept resonating with me was how dedicated these parents were to their sick children and how often they forget to do anything for themselves. We got inspired to do something the kids could do with their mom on Mother’s Day. Imagine: Can you talk more about that Mother’s Day event? Drew: We got our company, Flower Beauty, involved, and did a Mother’s Day pampering event. We called the biggest makeup artists, nail-art people and hairstylists, set up giant Hollywood movie-lit mirror stations, brought in a ton of Flower Beauty product and set up a beauty salon. The kids signed up for an “appointment” to bring their mom and have a special makeover together. It’s a day for the moms, but it was really fun to see the kids do something special for them for Mother’s Day. These moms spend 365 days a year focusing on their kids and are the ultimate superheroes. Imagine: What would you tell your daughters about philanthropy? Drew: When my daughters were born, I made a decision that every Mother’s Day I would do something in their honor. Every year I buy a card for them and tell them what I did on their behalf that day. I keep the cards in this pink shoebox that I’ll give them when they’re older. Hopefully it will show them how important it is to regularly do something outside of yourself. As it turned out, the first card I got for my daughter Olive tells her how I spent the day at Children’s Hospital with these mothers and their kids. Secretly, I’m hoping she’ll carry on the tradition. 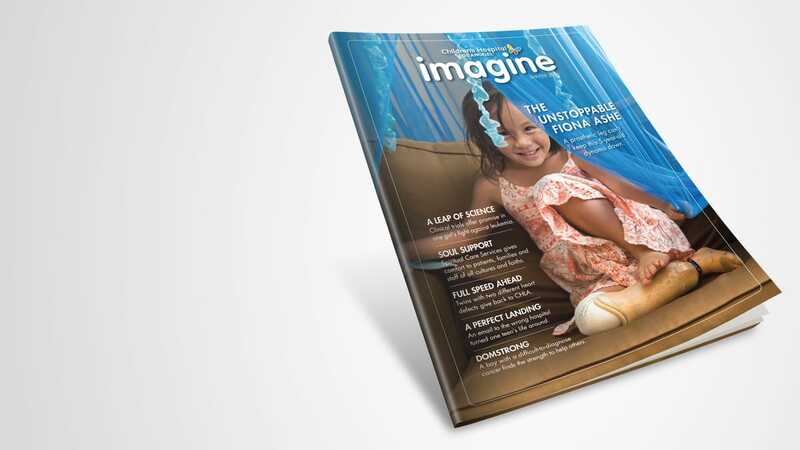 Imagine: What should people understand about CHLA? Drew: When you become a parent, all your priorities, all your perspectives—everything you used to know—shifts. Your only concern in life becomes keeping this little human safe and protected. But sometimes it’s out of your control, and luckily our community has Children’s Hospital Los Angeles for those times. When I’m here with the children and their families, we always talk about how kind everyone is here. The level of care is a different experience, and when you’re going through what these parents are going through, for them to feel this means everything. In the midst of crisis and illness, CHLA’s Spiritual Care Services Program offers comfort and support to patients, families and staff from all cultures and faiths. The thick glass door swings softly shut behind Rev. Dagmar Grefe, PhD, and instantly, the voices and footsteps from the busy hospital corridor vanish. In here, the only sound is silence. That place is the Thomas and Dorothy Leavey Foundation Interfaith Center, which opened in January at Children’s Hospital Los Angeles. And tranquil is a fitting word to describe it. Soft natural light fills the center, and a communal sanctuary opens out to the Sharon D. Lund Reflection Garden, which offers restful benches, gentle water veils and soothing pebbled pathways. Meanwhile, five quiet, semi-enclosed prayer and meditation alcoves are each devoted to different faiths: Catholicism, Western and Eastern Christianity, Judaism, Islam, and Buddhism and Hinduism. 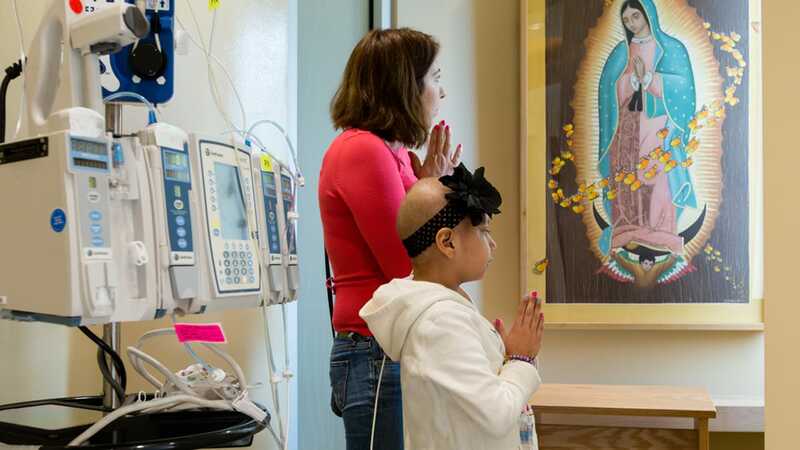 The 2,400-square-foot center—supported by generous philanthropy and an ongoing fundraising campaign—is the newest way that CHLA’s Spiritual Care Services Program is providing support, comfort, and emotional and spiritual respite to patients, families and staff of all cultures and faiths. 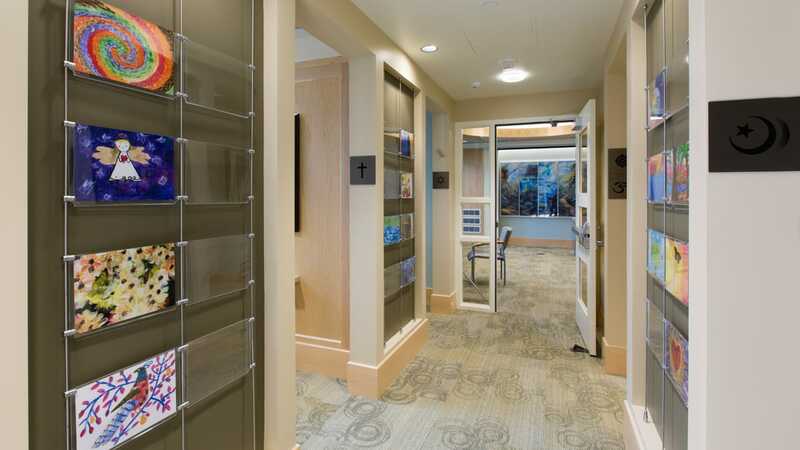 The Center was designed to bring people from diverse faiths together, but give each a private, sacred space. Numerous studies have shown that spiritual care plays an important role in a healing environment—not only helping people cope with crisis, but also decreasing anxiety, improving pain management and more. At CHLA, chaplains serve as integral members of a child’s health care team, performing spiritual assessments and attending interdisciplinary rounds with medical staff. In addition to Grefe, the program includes three full-time chaplains, a part-time Catholic priest and an on-call Jewish chaplain, as well as fellows, residents and interns from diverse faiths. The team offers 24/7 comfort, compassion and spiritual support to families of all faiths—during what are often the most difficult and wrenching moments of their lives. Lead Chaplain Rev. 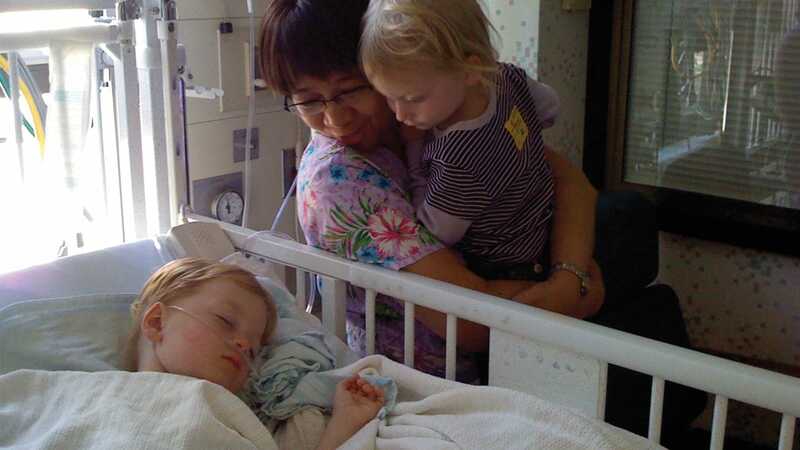 Janie Ito recounts the time last year when, as the on-call chaplain, she was called into the hospital at 3 a.m. to help a couple whose 2-year-old daughter had been airlifted to CHLA. The toddler had just been diagnosed with an advanced brain tumor and was undergoing emergency surgery. When Ito arrived, she found the parents huddled together in the surgery waiting area, crying. Studies have shown that spiritual care plays an important role in a healing environment. Chaplain Joshua Johnson remembers helping one particular teenage boy and his family over a two-year period as he came in and out of the hospital. The teen’s cancer had relapsed. Other times, chaplains support families by connecting them with spiritual resources from the community—arranging for an imam from a local mosque to pray with a Muslim father, or bringing in a Thai Buddhist monk for a family who wanted a special ceremonial chanting done for their child in Pali, a sacred Theravada Buddhist language. Of course, some families don’t want a chaplain involved in their care, and that’s fine too. That said, chaplains often help non-religious families. Johnson recalls approaching one such mother on the Oncology floor. She was crying. A place for every faith On a recent Monday at lunchtime, three people are praying in the Leavey Interfaith Center—one in the Catholic alcove, one in the Christian alcove and another in the Muslim alcove. The Center was designed for this very purpose: to bring people from diverse faiths together, but give each a private, sacred space. While the communal sanctuary is for everyone and hosts religious services, meditation classes and art therapy, each alcove is tailored to a specific faith, with carefully selected spiritual artwork, materials and special touches. For example, the Jewish alcove’s windows face east, to Jerusalem. In the Muslim alcove, prayer rugs can be pointed to Mecca. Five quiet, semi-enclosed prayer and meditation alcoves are devoted to different faiths. The Catholic alcove features an Our Lady of Guadalupe devotional, and families can post prayers on an adjacent wall using large sticky notes. On this particular Monday, 32 prayers are posted. Tea, cookies and dragonflies During the darkest circumstances—the death of a child—chaplains give extensive support. They are there to perform or facilitate baptisms and blessings, to pray with parents or to simply sit by their side. Patient deaths are emotional for staff, too. Chaplains are available to consult with staff members individually, and they also offer an informal “Tea for the Soul” ritual—bringing tea and cookies to a unit and giving staff a chance to talk. Each December, the Spiritual Care Program hosts a candlelight memorial service honoring all patients who died during the year. Approximately 300 family members and staff attend the service, which is supported by the Spiritual Care Guild, one of the hospital’s many Associate and Affiliate fundraising groups. As part of the service, which includes speakers and bereavement resources, families are invited to make and hang a special paper dragonfly, a symbol of transformation, for their child. The evening culminates with families lighting candles in memory of the child they lost. The service is one last way that chaplains journey with families—and help them heal. Honoring CHLA physician Barbara Korsch, MD, a pioneering researcher in the field of doctor-patient communication. Doctors should listen to their patients, empathize with them, and find ways to communicate effectively with them. This hasn’t always been the case, though. What was once ignored, or even scoffed at, is the standard of care today. For that, we have Children’s Hospital Los Angeles physician Barbara Korsch, MD, to thank. Korsch’s life would be considered extraordinary even if she hadn’t changed the face of modern medicine. Before World War II, her family fled Nazi Germany, where her father was persecuted for being an outspoken socialist. She entered one of the best medical schools in the country, Johns Hopkins School of Medicine, at the young age of 20, at a time when few women were studying to be physicians. She graduated in just three years as part of an accelerated program to train more doctors during wartime. Then, she went to work in medicine. Early in her career, while director of the Outpatient Department at New York Hospital – Cornell Medical Center in New York City, she began to notice communication problems between doctors and the parents of her young patients. She also noticed that often these families didn’t return for follow-up visits. When she investigated, she found that parents felt the doctors hadn’t understood, or worse, hadn’t cared about their concerns. “Years before I started my studies, there had been articles about uncooperative patients, but they always blamed the patient. ‘The patient was stupid, was uneducated, didn’t accept authority,’” said Korsch in a 2008 documentary produced about her life and career. Never one to accept the status quo, she decided something had to be done. “In my family, there is a very long tradition of not accepting what’s going on if it doesn’t seem right,” she said. “None of them were ever afraid to say, ‘It’s not right. Let’s find out why.’” And she was no different. 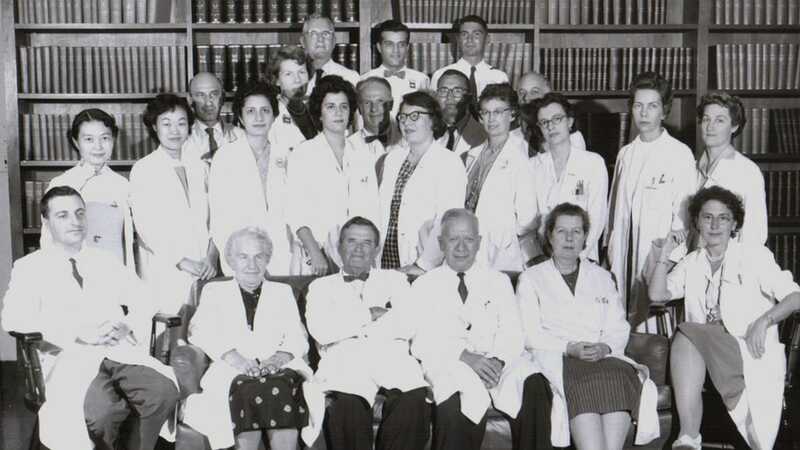 In 1961, Korsch came to work at CHLA. Though her husband, Robert Ward, MD, was chief of the Department of Pediatrics, nepotism didn’t get her on the staff. In fact, it almost kept her off of it. Leadership said it wouldn’t be appropriate for her to work for her husband, so she spent some time at another hospital, where she conceived of a landmark 1,000-patient study to address the importance of doctorpatient communication. She also landed a sizable grant to fund the project. In need of a higher patient volume, she came back to CHLA with her grant in hand, and got to work. Korsch and 10 research assistants videotaped live doctor-patient encounters. They then interviewed the patients’ families immediately after the meeting, and again two to three weeks later. The results were stark; for families who said they were highly dissatisfied, only 17 percent were compliant with the doctor’s orders. Her research showed that a doctor’s effectiveness as a communicator had a direct connection to the quality of care the patient ended up receiving. The smartest doctors in the world were useless if they couldn’t convince their patients that they had their best interests at heart. Korsch’s study was published in Scientific American, a magazine read by the general public in addition to the scientific community. It received one of the largest responses to any of the magazine’s articles at the time. As a result of her groundbreaking findings, she set about to create teaching methods that would help pediatric residents realize that parents were as much patients as their sick child. She landed on a supremely effective teaching tool: videotaping residents during interactions with patients, reviewing the tapes and offering feedback. “She was a pioneer in everything that she did,” says Robert Adler, MD, MSEd, chief medical officer of the CHLA Health System and senior advisor to the chair of the Department of Pediatrics. Adler first met Korsch in 1973, when he was an intern at CHLA, and she helped shape his career, encouraging him to conduct his own research. 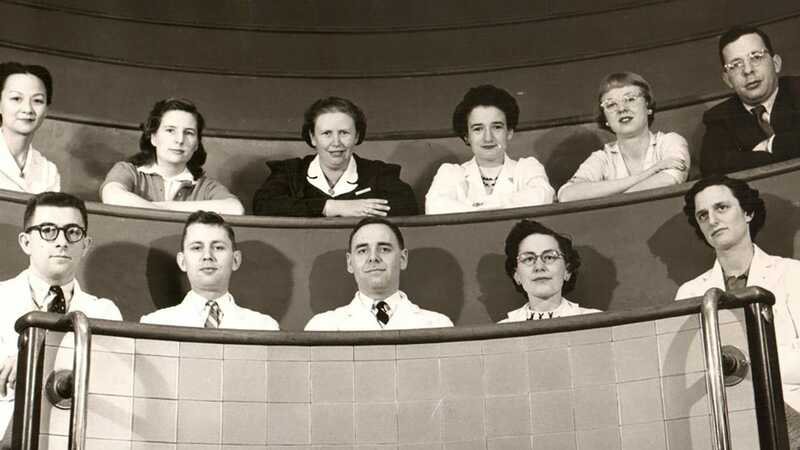 Though getting the medical community to embrace her findings was an uphill battle, she persevered, and her tenacity was recognized. 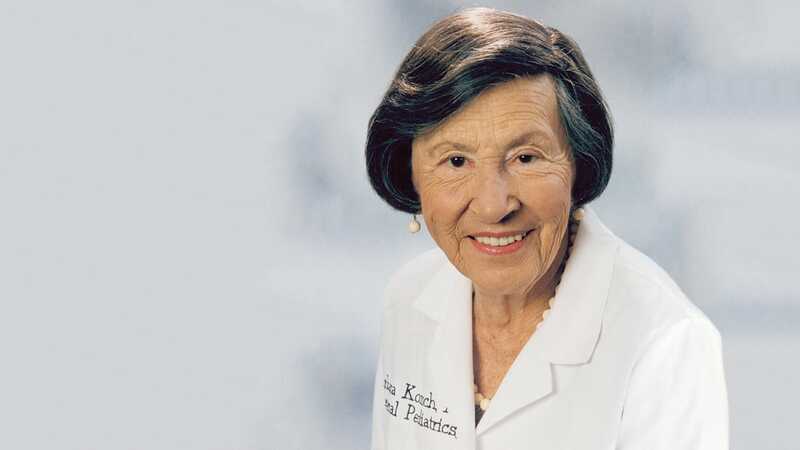 Korsch was elected to the prestigious Institute of Medicine in 1981—CHLA’s first-ever member, and the first female to be elected from the University of Southern California (USC). Among her many accolades, she received the Ambulatory Pediatric Association Distinguished Career Award, the American Academy of Pediatrics C. Anderson Aldrich Award, and the Faculty Lifetime Achievement Award from USC in 2006. She was also awarded the first-ever Children’s Hospital Academic Affairs Appreciation for Longevity of Service Award in 2011. She wrote numerous books and articles on the subject, and lectured around the world as well—and her drive for effective communication wasn’t confined to the exam room. Korsch turned 95 on March 30, 2016. Until only a few months earlier, she was still supervising residents in Continuity Clinic, where new doctors learn the skills of dealing with patients and families. Her health has necessitated that she finally retire fully from working, but the indelible mark she’s left on CHLA and the entire field of medicine will cement her legacy for generations. Many thanks to Caroline Harding Productions for archival interview footage. For more information about “Portrait of a Pioneer,” the 2008 documentary on Barbara M. Korsch, MD, visit www.PortraitofaPioneer.com.